Pioneers in the industry, we offer fiber compression presses from India. 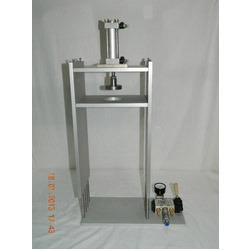 The range of products which we export and supply to the customers are inclusive of the Fibre Compression Presses which have been made using the best technology available in the market and they offer a trouble free functioning and they are available in different shapes and sizes and have been priced at very reasonable rates in the market. These products are non-corrosive in nature and they offer a long lasting performance to the customers in the market.